ABSOLUTELY STUNNING CUL-DE-SAC HOME IN WGV HERITAGE LANDING! THIS 5 BR, 3 FULL BATH HOME FEATURES RICH HANDSCRAPED WOOD FLOORING THAT FLOWS THROUGHOUT THE 1ST FLOOR COMMON AREAS. YOU ARE GREETED BY A LARGE DINING/LIVING ROOM COMBO. THE FAMILY ROOM HAS A GAS FIREPLACE & COZY SHIP LAP ACCENT WALL & VIEW OF THE LANSCAPED FENCED YARD WITH PERFECT SPOT FOR YOUR FIRE PIT. UPDATED KITCHEN BOASTS A CENTER ISLAND, GRANITE, STAINLESS STEEL APPLIANCES & A WALK-IN PANTRY. DOWNSTAIRS ALSO HAS A CUSTOM DESIGNED MUDROOM, A BEDROOM, TILED FULL BATH & LARGE LAUNDRY ROOM. SECOND FLOOR BOASTS 3 MORE BEDROOMS, A FULL BATH WITH DOUBLE VANITY, LINEN CLOSET. MASTER SUITE WITH A TRAY CEILING. SPA LIKE MASTER BATH WITH DOUBLE VANITY, GARDEN TUB, WALK-IN SHOWER, WATER CLOSET & ENORMOUS WALK-IN CLOSET. ACT QUICKLY!! Copyright 2019 Northeast Florida Multiple Listing Service, Inc. All rights reserved. The data relating to real estate for sale on this web site comes in part from the Internet Data Exchange (IDX) program of the Northeast Florida Multiple Listing Service, Inc. Real estate listings held by brokerage firms other than All Real Estate Options, Inc. are marked with the listing brokers name and detailed information about such listings includes the name of the listing brokers. Data provided is deemed reliable but is not guaranteed. All Real Estate Options, Inc. does not display the entire Northeast Florida Multiple Listing Service, Inc. data exchange program database on this web site. The listings of some real estate brokerage firms have been excluded. Last updated on 2019-04-21. Any use of search facilities of data on the site, other than by a consumer looking to buy, sell or lease real estate is prohibited. 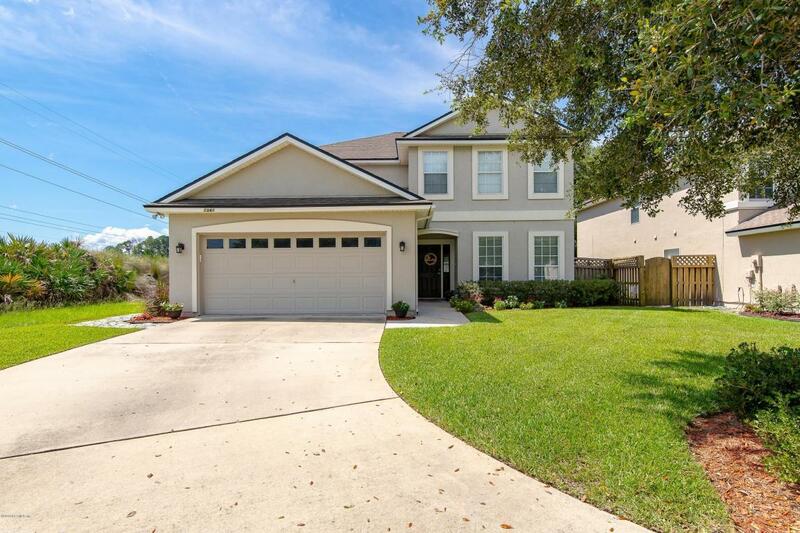 Based on information from Northeast Florida Multiple Listing Service, Inc that was updated on 2019-04-21. The Corporation does not guarantee and is not in any way responsible for, its accuracy. Data maintained by Northeast Florida Multiple Listing Service, Inc. does not reflect all real estate activity in the market.